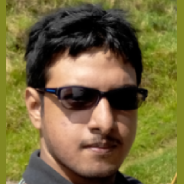 I am Anamik Majumdar, an Indie Game Developer of India who started out at the age of 14(2010). I love to do a lot of artwork, design and programming. I alone work on game projects and create games since I can create graphics, backgrounds myself. However, my parents have supported me to open up this site for all the gamer and I am very much thankful to them. My Indie Gaming Workspace is located in Calcutta, India. I am trying to create something new for you and I am continuously trying to improve my skills. I have created small commercial indie PC titles which are stated below. I usually publish my games on Steam platform. Some of them are The Mystery of Devils House, Keatz: The Lonely Bird, NightmareZ and much more! Here are some games which I have worked on for years and they are serious game projects ever created by me. I have worked with lots of publishers worldwide and had a great success with them. Official Steam Creator Page: FOLLOW ME ON STEAM! Game Developer, Designer, Web Developer, and Distributor"